Are you in the process of designing a new office space for your business? 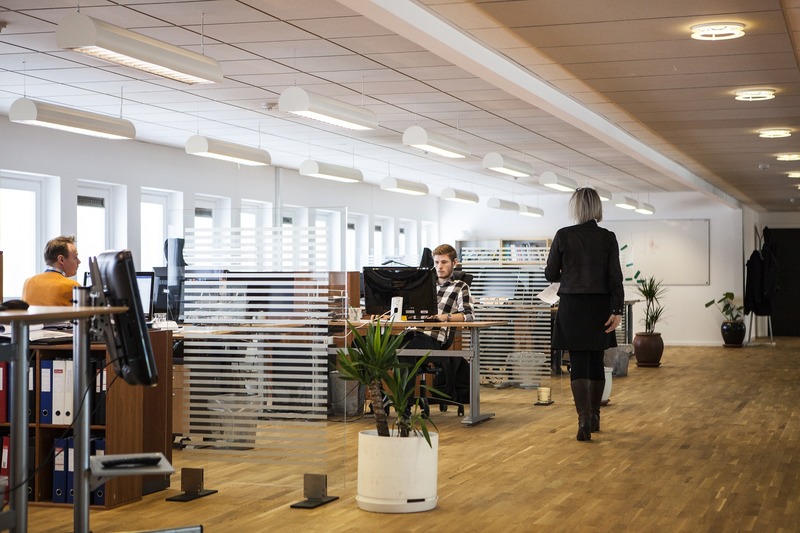 If you are in the beginning stages of planning a new office space, you must consider whether cubicles or private offices are a better choice for your business. Part of the decision will be based on the available space that you have for your business. When the only available space for you to lease is small, your only choice may be cubicles. However, if you have a lot of space available, the choice can be more difficult. Each type of office has its pros. Let’s take a few moments to explore the benefits of each type of office to make it easier for you to decide. One of the most beneficial aspects of a private office is privacy. Employees are generally more productive in a private office. In a cubicle, there can be numerous conversations going on at one time, causing people to be distracted. Distracted people are not as productive as those who are in an enclosed office. Additionally, being in a private office space can cause a person to have an increased sense of accomplishment. When people have their own private office, other staff members tend to give them additional respect. Another benefit of a private office space is that these office spaces provide staff with a safe space to converse about more private topics. Cubicles do not provide ample opportunities for people to discuss personal business or company challenges away from people who should not be overhearing the conversations. While there are numerous benefits of private office spaces, there are also benefits of the use of cubicles. One of the benefits of a cubicle is that staff members have opportunities to get to know one another. By eliminating the walls between people, you provide your staff with the ability to know what others are doing. In addition to providing opportunities for staff to get to know one another, your staff is provided additional chances to learn from other people. When all employees are working in private offices, there aren’t natural occasions for staff to learn each other’s job responsibilities and grow their knowledge of your business. With the ability to learn different job responsibilities, your potential promotion pool will increase. Lastly, when your staff is working in cubicles, it might be easier for them to be motivated. The added pressure of staff monitoring each other’s progress can be what some staff members need to stay motivated. When designing a new office space, you must consider the benefits of both private offices and cubicles. There are positives to both types of office spaces. The square footage of your office space will be one determining factor. The remaining aspects to consider will be determined by what your goals are for your business. If you need expert advice to guide you through the process of designing a new office space, contact us at the National Project Group. We are an experienced office design expert. Contact us today.